Bosch, the German company, famous for its mechanical products has upped the ante for brushless compact drills with its DDS182-02 18-volt Brushless 1/2″ Compact Drill. This awesome gadget boasts of optimized torque for screw driving as well as speed up to 1,700 rotations per minute for drilling jobs. Its high capacity battery has enough power to complete numerous high torque and long duration operations efficiently following which it can complete numerous less intensive operations as well. The included charging unit can recharge a fully drained battery to full charge in less than two hours. Traditionally, battery powered drills do not have the power or the torque required to complete most jobs. However, Bosch has changed this conception totally with its DDS182-02. I put it through several driving and drilling tasks, and it completed them without a hitch. I felt less fatigue using this model as compared to electric powered drills. The balance of this gadget was obvious, particularly as the weight of its battery was below the hand, which offsets the weight of the drill’s body that is above the hand. LED light at the base of the drill. One year warranty for battery. Q: I have heard that this model has a brushless motor. What difference does that make? Q: I have a BAT 609 1.3 Ah battery. Will it work with this drill? Q: How many batteries do you provide along with the drill? 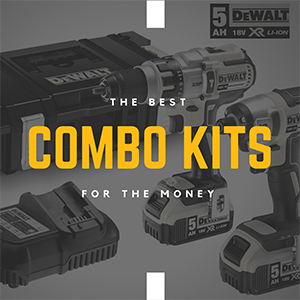 A: You will get two 18 Volt, 2 Ah Lithium Ion batteries with the set. A: No, the battery charger contains sensitive electronic circuits that demand power from a full sine wave inverter. What is my take on this drill? I never have any doubts about the versatility and the quality of the DDS182-02 while writing this Bosch 18v cordless drill review. Although the price tag is slightly on the higher side, and the company provides a below average warranty, this nicely designed and well balanced drill contains the strength to handle numerous common jobs. Its extended battery life permits you to work for more than two hours at a stretch before you need to recharge the battery.I would have given top rankings to this drill had the manufacturer provided a longer warranty period to the device and the batteries. Although this drill can achieve speeds up to 1,700 rotations per minute (RPM), which is less than models by other manufacturers, it is not bad either. The adjustable speed settings allow you to use this tool as both a screwdriver (at low speed) and drill (at high speed). The 20 clutch settings are sufficient for most jobs in the house. • A brushless motor whose lifespan is double compared to that of standard motors. This motor does not require any maintenance and provides longer runtime because of its superior efficiency. • The cool pack technology consists of a housing that is heat conductive, which extends battery life and keeps it cooler. • Incorporated advance electronics such as cell protection and electronic motor prevent overloading and overheating, leading to extended tool life as well as runtime. 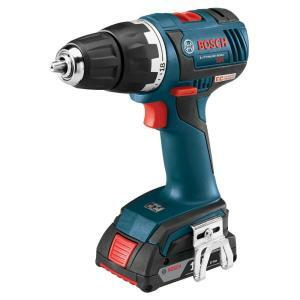 • Its superior power makes this offering from Bosch the most powerful drill driver in its class, capable of effortlessly performing the widest range of heavy duty jobs. • The design of its Durashield housing prevents damage to the drill even when dropped from 10 feet. • It boasts of the most compact head length in its class, allowing for easy controlling in hard to reach places. • Its flexible power system permits users to use any 18 Volt Lithium Ion batteries with this device. • The 4x magnetic tip holder facilitates safe tool bit storage during transportation. • The inbuilt LED light at the base of the drill provides sufficient illumination when working in poor light conditions. • The brake incorporated in the drill engages the moment the trigger is released, and stops the rotation of the drill quickly. This plays a vital role when the user has to complete a work that requires repetitive driving operations. • The pack contains an easy to use keyless chuck. To tighten or loosen hold the drill with one hand and twist the chuck collar with the other hand. The chuck gripped the smooth half inch HSS shaft securely. It also held the other bits used during testing securely too. • The tool delivers speed up to 1,700 rotations per minute for drilling applications and optimized torque for screw driving. Maintaining this drill is a piece of cake as long as you follow the instructions provided in the instruction manual included along with the tool. As the tool contains lots of moving parts, you should oil them on a regular basis, particularly the chuck… the part that holds the drill bit. Use a blower on the vents to blow out dust particles. You can also use a canister of compressed air for this purpose. Apply grease on the drill bits to prevent moisture from corroding them. You can increase battery life by charging it once it has drained completely. You should also charge the battery fully before removing it from the charger. Both these factors help to increase the life of the battery. You should also keep the battery in a dry and cold place and remove it from the device if you do not plan to use it for a long time. 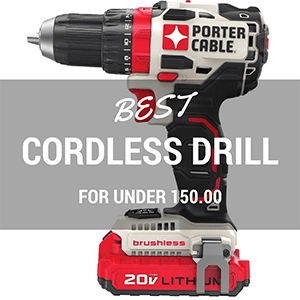 Who can use this cordless drill? Although the awesome power of this drill makes it ideal for professionals, even individuals who have no experience of using a power tool, can use it for their home projects. The usage guide provided with the drill will provide them with a wealth of information about how to use the tool as well as inform them of precautions they should take while using it. The handy battery status indicator provides users with information about the power left in the battery. In such scenarios, it is better to replace a nearly dead battery with a fully charged one before starting a big project. It is difficult to find fault with such an excellent tool. However, I wish that the manufacturers included a three year warranty on the device and a two year warranty on the batteries. The battery takes one hour to charge which is more than the 45 minutes taken to charge batteries of other drills in the same price range. It would be unfair to compare both models offered by Bosch. However, the DDS181 does not offer Durashield housing that protects the DDS182-02 model against damages even when dropped from a height of 10 feet. In addition, the DDS181 does not have a brushless motor, which translates into lower motor life. The DDS181 also does not contain the advanced cell protection and electronic motor that prevents the tool from overloading or overheating, and increases its runtime and life of the tool. What do others say about this drill? Another common complaint by consumers is that the LED light of the device turns on upon switching on the device. They want a separate switch for turning the LED lamp on and off. Certain users complain the trigger does not respond every 20th or so pull. Bosch technicians admitted to this issue. They have confirmed that they are looking into the problem and will solve it soon. On the other hand, most users are extremely satisfied with the quality of this drill. They have said that it is much better than similarly priced drills available for sale. I have been using this drill on a regular basis and am quite satisfied with it. I hope Bosch addresses the warranty period issue of the drill as well as that of its batteries. They should also change the existing charger and replace it with a high speed charger that can charge the battery in under 45 minutes. As of date, the DDS182-02 is the best cordless drill available. However, with Bosch releasing new models on a regular basis, it might not be long before I may have to retract that statement. After sales service has always been the forte of Bosch, and it still is. This allows you to lodge a complaint as soon as you face any problems with your DDS182-02 drill.